When Jes Staley took over as CEO of Barclays in 2015, there was some serious reputational damage to be undone. The bank had in recent years been hit by a series of scandals – including, most damagingly, the rigging of the Libor rate – and had paid hundreds of millions of dollars in fines and settlements. Following his appointment, Staley heralded a new era of governance led by ethics, decency and transparency. A year later he was reprimanded by the board for unethical conduct and given a pay cut. He might lose his job. The exact details are not yet public, but it seems as though Staley circumvented standard hiring procedures and recruited an old friend and colleague from JP Morgan to a senior position at Barclays, and did so in spite of concerns over ‘erratic behaviour’ in his previous job. When a whistle-blower raised these concerns in a series of anonymous letters sent to the board, Staley used all the resources at his disposal to unmask the whistle-blower, dismissing the allegations they’d made as a smear-campaign, and presumably thinking them unimportant. The CEO of a major financial institution should know better than to use his power to settle a personal score, though we’re not naïve enough to think it doesn’t happen from time to time. What’s interesting to us about this story is the significance attached to, in the words of the Barclays official statement, the ‘appropriateness of the recruiting process’. Reading between the lines, it would appear that the new hire had issues that Barclays should have either known about, or paid attention to. It’s hard to believe that a comprehensive reference and background check was carried out. The whole episode speaks, at a fundamental level, to the importance of detailed character and professional references when making appointments, but especially at the senior level. It’s tempting to see them as something of a formality, but as an executive search firm, we see on a day-to-day basis how crucial they are to rounding out an assessment of someone’s suitability for a particular job. Sometimes, you get surprises. Sometimes a suspicion is confirmed. It doesn’t happen all the time, but often enough for us to know that they’re important. Thorough reference checking is a critical part of the due diligence of making a strong hire, the same as you would if you were, for instance, buying another company. If the person you’re considering hiring has the potential to make a huge impact on your business – for example, being trusted with sensitive information, high-level financial decision-making or complex reporting with legal implications – you need to know as much as you can before you hand them the keys to the kingdom. 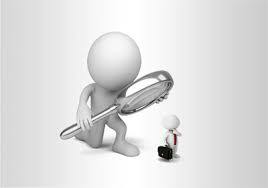 Getting detailed references from a previous employer must be treated as essential.